ARESE, Italy -- Fiat Chrysler Automobiles is in talks with Hyundai Motor about a technical partnership, but there are no merger talks between the two, FCA CEO Sergio Marchionne said. 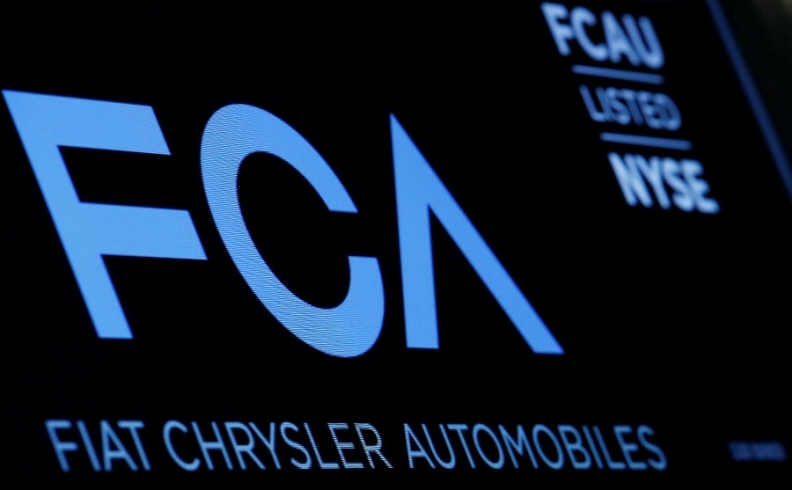 FCA is often the subject of merger speculation, especially after its unsuccessful 2015 attempt to tie up with larger U.S. rival GM, with reports of interest from China's Great Wall and Hyundai. "We already buy components from [Hyundai] .... let's see if we can agree on other points, especially for the development of transmissions and hydrogen," Marchionne told journalists on Saturday, adding there was "nothing to announce for the moment." Asked whether this collaboration could turn into a merger, Marchionne said: "I don't believe so." Hyundai did not confirm whether it is in talks with FCA. "We welcome the interest from other automakers in our advanced transmissions and hydrogen-powered technologies," it said in an email Monday. Marchionne is a vocal proponent of automaker consolidation. Cooperation on hydrogen propulsion would come as rival plug-in electric vehicles emerge as the dominant technology in the emerging post-fossil fuel era. The 65-year-old chief executive, whose mandate ends in April 2019, is working on a new business plan to 2022, which he said should be presented in the second quarter of next year. As part of that strategy and to simplify its portfolio, FCA is working on separating two of its three components businesses. Marchionne said the spin-offs of Magneti Marelli, which makes components for lighting, engines, electronics, suspension and exhausts, and robotics maker Comau would be separate operations, "especially given Comau's potential development in artificial intelligence or robotics." "Whether it happens as a spin-off or a distribution to shareholders, or whether we will raise some money in the process -- all things to be discussed with the board, we haven’t made up our mind," he said. These discussions include a potential listing for either company as happened with other units FCA spun off in the past, such as tractor maker CNH Industrial or luxury sports-car maker Ferrari, which are quoted in Milan and New York. Marchionne said he would like to complete the separations by the end of 2018. The transaction could help boost FCA's finances at a time when it is aiming to become cash-positive by the end of next year. A separation of castings firm Teksid, the smallest of FCA's parts makers, was not on the table, Marchionne said. Marchionne was speaking after a presentation on Alfa’s planned Formula One return at the Alfa Romeo Museum in Arese, near Milan. A spinoff of the Alfa Romeo and Maserati brands is too remote to be discussed at the moment and would not happen "for many years," he said, while highlighting the importance of motor racing in Alfa’s development. A return to F1 could help polish the marque’s image as it seeks to rebuild an upscale reputation. Marchionne has invested billions of dollars to develop new vehicles after the Alfa line-up shrank and sales collapsed in the last decade. F1’s global appeal will bring wider exposure after previous attempts to expand beyond Europe were delayed. Asked about possible fines over diesel emissions, Marchionne said he did not believe there was any legal base in recent allegations raised by French authorities. He said separate discussions with U.S. authorities were ongoing and he expects "there will be a cost but it will be something manageable." Marchionne, who met with U.S. Vice President Mike Pence and other officials at the White House this week to discuss NAFTA concerns, said he doesn’t see Donald Trump’s administration leaving the North America Free Trade Agreement. He confirmed Fiat Chrysler’s financial targets for 2018, including an increase in operating profit to about 9 billion euros ($10.7 billion) and the elimination of debt.